Observing a bargain hunter upper stalls stalls fortifications exclaimed, “My word, this is the flea market! “. The expression rained and toured in Paris and around the world! Originally, the name is associated with the clothing sold by scavengers “and flea.” But what are the postcards sold to visitors who spend this expression, since 1900. After the 1870 war, rag pickers, driven out of Paris, the first build villages merchants in Saint-Ouen. They are called the “porters”, “Cheshire”, “rag pickers” or more poetically “moon fishermen” since roamed the city at night in search of old objects in the garbage they sold thereafter markets . But this is the year 1885 which marks the official birth of the flea market. The city of Saint-Ouen is mobilized to clean up and secure the area. The “puciers” must pay a parking fee for their activities. Press reports produced several picturesque between 1905 and 1914. More Parisians go there on Sunday, according to the tradition of walking outside the Walls. After the first world war, “Bullets” are so busy that businessmen buy land around the rue des Rosiers. They ADJUST streets and are bringing water and electricity in the stands they rent very expensive. 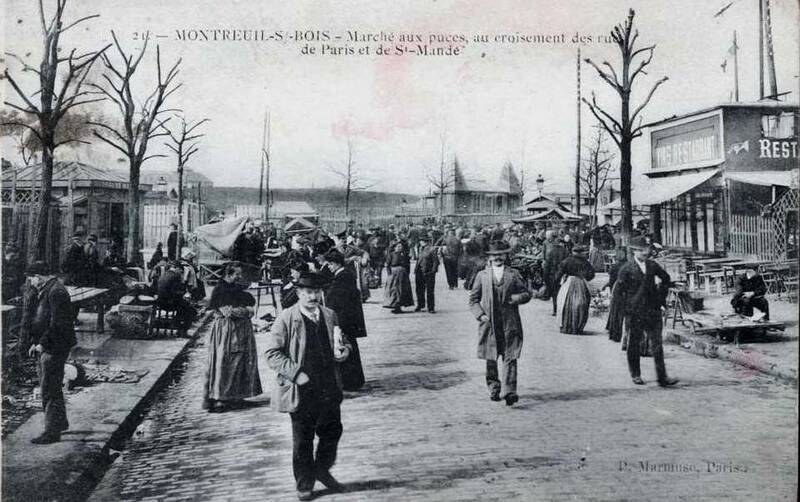 The first four markets are created between 1920 and 1938: Vernaison, Malik, Biron and Jules Vallès. 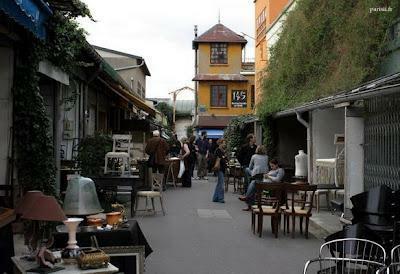 Therefore, the place became fashionable, the crowd atmosphere research Flea market renowned for its cafes, bistros, restaurants and recreational activities. At the time, the new working population of Saint-Ouen many bistros frequented the area. In this population is mixed in another, the Gypsies also staying in the area with their trailers and drive the neighborhood of their music: “Jazz Manouche”. Django Reinhardt played in the area, but also in many taverns around to Montmartre. Between 1946 and 1991, 12 other markets open their doors. More than a market, this place is a meeting point of cultures and trends. Each market has a different atmosphere. The bucolic and picturesque market Vernaison, small covered pavilions glycine Rue Paul Bert, patios wooded market Malassis contrast with the shops in the market Biron, recalling the splendor of the great Parisian salons or with felted aisles Serpette covered market. 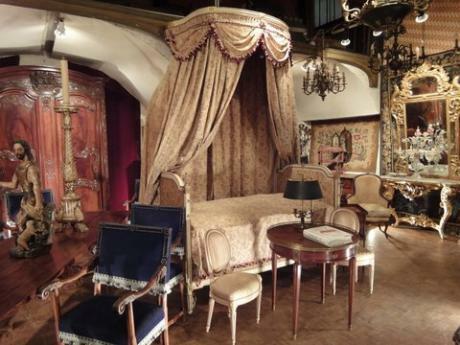 This entry was posted in Paris, FRANCE on October 27, 2012 by webmaster. I know what you mean, Rag Pickers are the most vulnerable Hungry Kids in the society. They are the most downtrodden sect of the society in the entire world. They keep facing all the problems like health, nutritious food, education in their day to day life. What are the remedial measures for them? Speaking of which, The very reason for hungry kid is poverty. Abandon child is also another category. The help and humanitarian support from all the facets of the Society. Is it not required? Thanks, on a related note, Poverty was historically defined and estimated in India using a sustenance food standards. Due to lack of adequate food materials, not available for the needy. How to over come this situation?